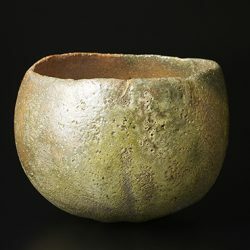 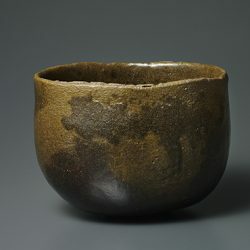 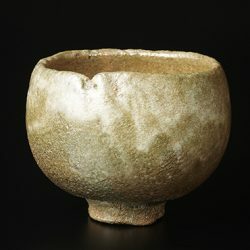 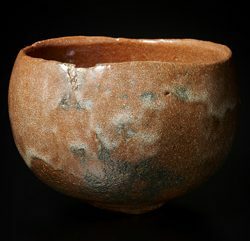 San’an Yamada had merely created water containers and flower vases while creating mainly Raku-ware, Korai tea bowls and Shino ware. 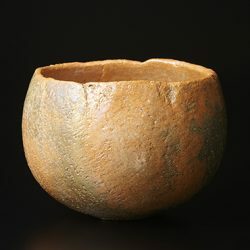 This flower vase should be a transformed form from gourd-shaped and Kinuta-shape, and has of innocent and humorous look. 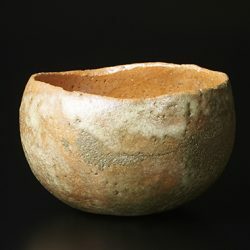 It is as just size for Koma, a small room for tea ceremony.